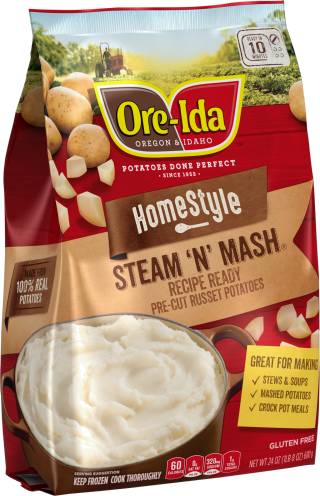 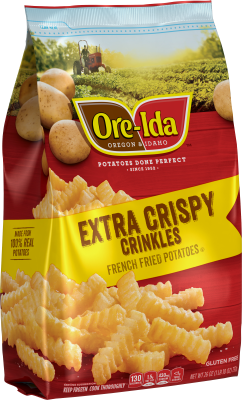 For people who can't get enough crisp. 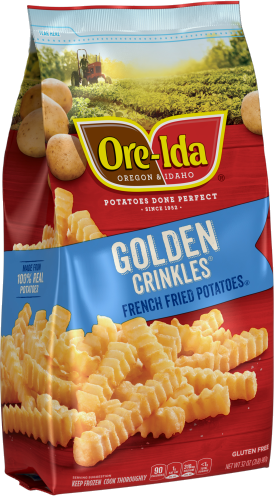 These super tasty Extra Crispy Golden Crinkle French fries are the perfect companion to win at mealtime. 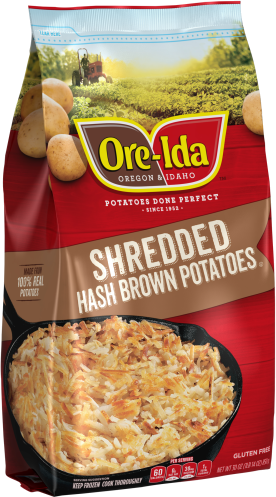 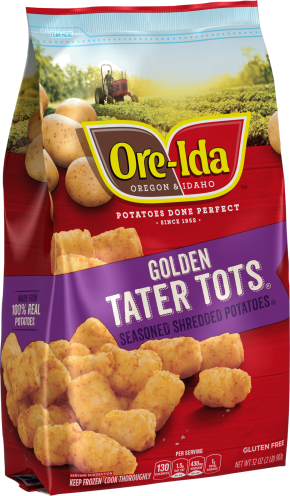 POTATOES, VEGETABLE OIL BLEND (SOYBEAN AND COTTONSEED), MODIFIED FOOD STARCH, RICE FLOUR, SALT, DEXTRIN, CORN STARCH, ANNATTO COLOR, DEXTROSE, LEAVENING (SODIUM ACID PYROPHOSPHATE, SODIUM BICARBONATE), XANTHAN GUM, SODIUM ACID PYROPHOSPHATE.